To learn more about sample libraries and how they work, I suggest you check out my page on TweakHeadz Lab, Software Samplers. 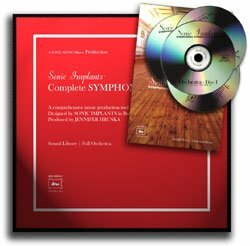 The SONiVOX Complete Symphonic Collection is comprised of 4 volumes, Strings, Woodwinds, Brass, and Percussion. 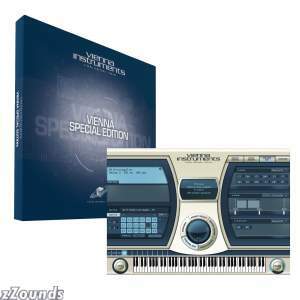 Recorded exclusively within the exquisite Victorian confines of the renowned Sonic Temple in Roslindale, MA, the SONiVOX Symphonic Collection offers exceptional recordings of orchestral instruments performed by musicians from the Boston Pops and Ballet orchestras, captured in sparkling detail by a team of award-winning recording engineers and honed to perfection by a design crew with more than 30 years cumulative experience in soundware development. 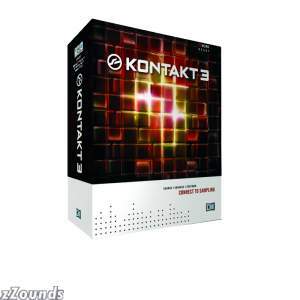 Now in its third incarnation, KONTAKT 3 builds on its reputation as the industry standard for professional sampling. The outstanding audio engine and state-of-the-art modular architecture provide unlimited sonic potential for your music. Universal file import ensures global compatibility. 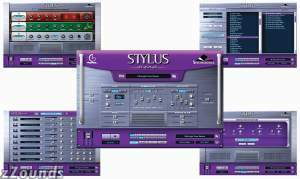 Spectrasonics has released a new â€œStylus RMX Xpandedâ€� product package which includes the acclaimed Stylus RMX Realtime Groove Module virtual instrument software, plus all five of the award-winning S.A.G.E. 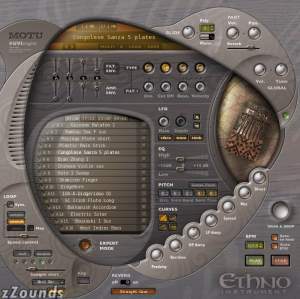 Xpander expansion libraries: Backbeat, Retro Funk, Metamorphosis, Burning Grooves and Liquid Grooves. The addition of the Xpandersâ€™ 5.5 GB of outstanding acoustic drum and percussion grooves enhance Stylus RMXâ€™s already massive 7.4 GB remix-oriented core library. You can think of percussion as the spice and flavor you sprinkle over the top of your music to give it its unique taste and feel - unless of course you're kickin some serious Latin grooves in which case your percussion tracks need to seriously rock. No matter, SONiVOX has gone to the ends of the earth to unearth one of the tastiest percussion libraries you've ever heard -- Flying Hand Percussion. Produced by veteran sound designer and composer Eitan Teomi, this exquisite selection of hand-held and exotic electronic percussion instruments provides a quality and playability we guarantee you haven't experienced before. And that's great news for your music. This Special Edition of Vienna Instruments brings together the complete orchestra â€“ and more â€“ in an affordable Collection. It is the ideal, resource-saving companion for orchestral arrangements on the laptop, or for newcomers to the world of Vienna Instruments, offering a useful cross-section of Vienna Symphonic Libraryâ€™s over one million samples. 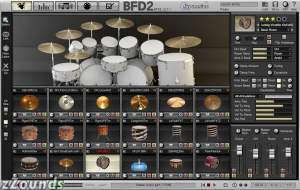 The new FXpansion BFD 2.0 virtual drum library gives you a staggering 55GB of rare, vintage, boutique, and classic drum sounds that will punch up the quality of any recording. The BFD 2.0 sound library, which was recorded at London's legendary Air Lyndhurst studios, features each instrument captured in immaculate detail with multiple mic setups. Within the user interface, you have complete control over the mics like you would in a mixing situation. If you want to assemble your virtual dream kit, look no further than BFD 2.0! 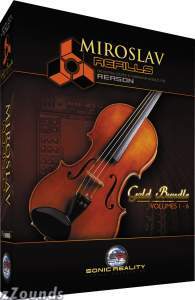 Get volumes 1 through 6 of the stunning Miroslav Refills for Reason series at an incredible price. Priced separately, these volumes would cost more than $1,190! This is the ultimate collection to supercharge Reason. The Toontrack DFH EZ Drummer is a multi-microphone drum sampler designed for musicians and producers in need of a compact, affordable, easy to handle plug-in without compromising sound quality or control. The visualized drums in the interface combine auditioning of sounds and drumkit construction. The extensive drag and drop midi-library (featuring 8000+ midifiles) enables users to create a great drumtrack in just a few clicks. 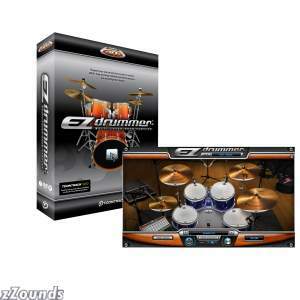 For more advanced handling, users can control microphone bleeding and levels between drums using the internal mixer. 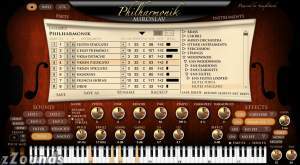 A powerful integrated Orchestral Workstation combining the legendary Miroslav Orchestra and Choir sample collection masterpieces with a dedicated plug-in instrument. 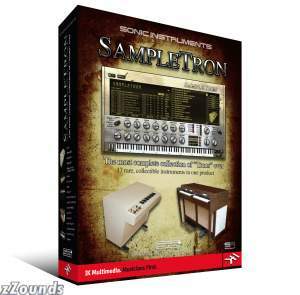 SampleTron is a new virtual instrument from IK Multimedia and Sonic Reality that combines the authentic recreation of "Tron" sounds such as Mellotrons, Chamberlins, and Optigans with the powerful SampleTank engine to take those nostalgic sounds into the new millennium. No other product allows you to manipulate, process and stretch such gritty, emotional and quirky lo-fi sounds like SampleTron.